Well. Week 2 is almost done, and the pace is speeding up! I have had time for yesterday’s mindmapping session to seep in now. Although I did feel a bit overwhelmed with the chaos of my map (having only just scrapped my previous proposal 6 hours earlier), it was a really great session. As someone who has been a creative facilitator for 8 odd years, it was pleasantly freeing to be on the other side of the process for a change, and let someone else guide you. I have re-translated yesterday’s map onto a bigger big of paper on my wall and added more ideas to it, so I can continue to expand as time goes on. We need to make more connections between our ideas and expand links to the work of other artists – relevant to our ideas or techniques we like or processes etc. I still don’t have a research question yet (I think I need a few more days to leave this to settle) but the links between all of my components are starting to become clearer. One of things Bridget said which I felt I really ought to take to heart, was the advice to just keep making, and strengthen the connection between your head and your hands. I have been having doubts that I am good enough to do the course – but I know I am being irrational. I know I have potential to make good stuff, I just need practice – for which we have plenty of time. So…. 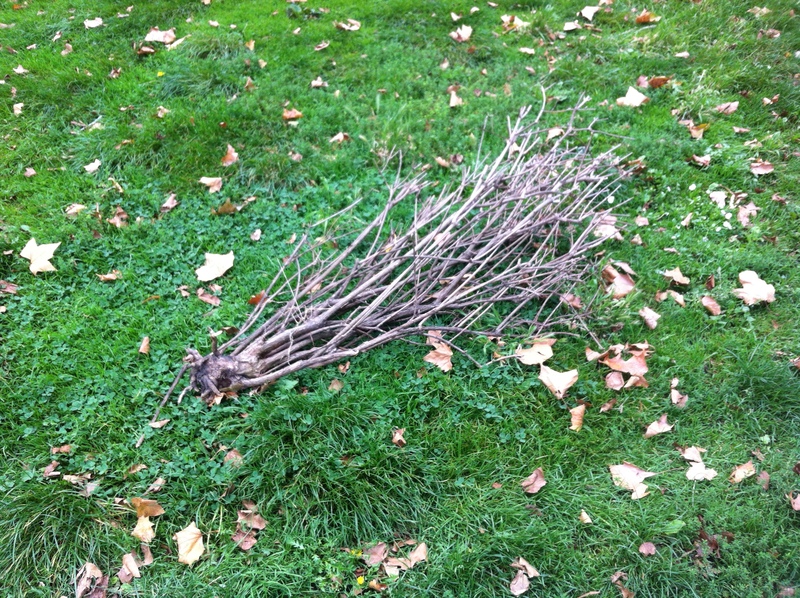 serendipity struck, and on my way back from my morning swim I came across a small bush (more like half a tree), just lying all decoratively by the path. How could I resist! This is “Tomorrow-land”. The box is an organic representation of a hypercube (tesseract) using tree bits and linen twine – the hypercube being the only way we can represent 4D space using our 3 spatial dimensions. The small man sits alone within the older inner cube, fearful of a journey into the expanding space time of tomorrow. It may be rough and ready, but it’s nice to be making! 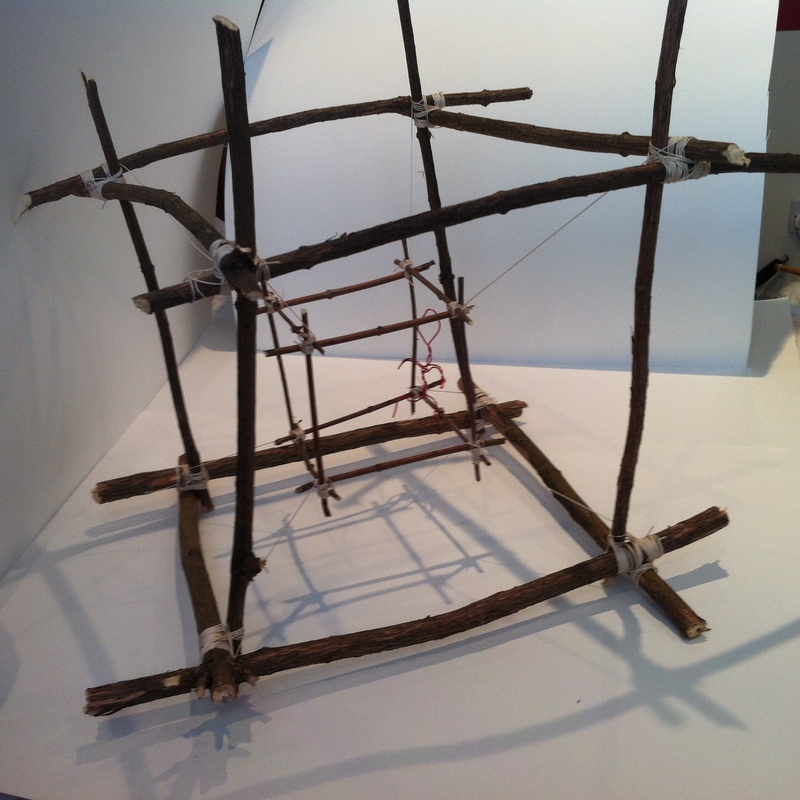 This entry was posted in 03.3 MA Project proposal and tagged making, mind map, Tesseract on 12 September,2014 by antalbot. 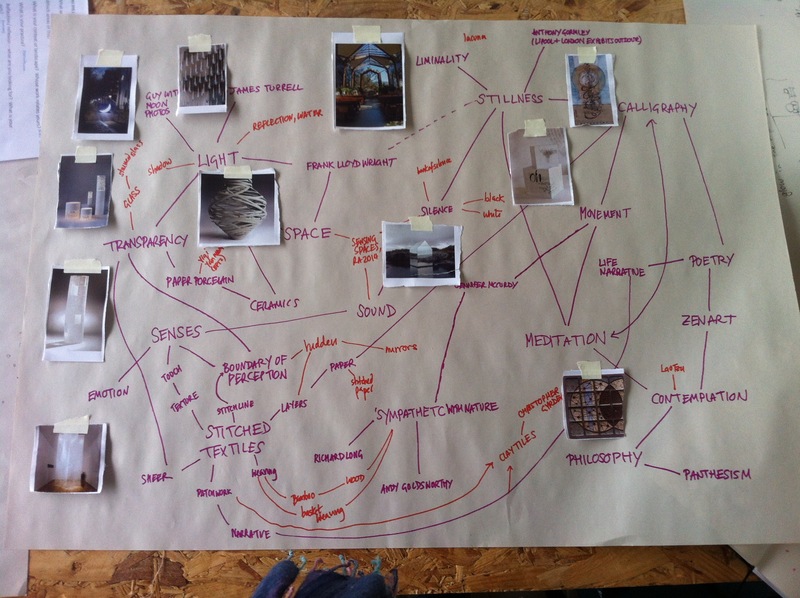 Resulting mind map from today’s getting going workshop with Bridget. I know more artists than I realise! What am I going to do with all of this? Experiment for a year doing what?? 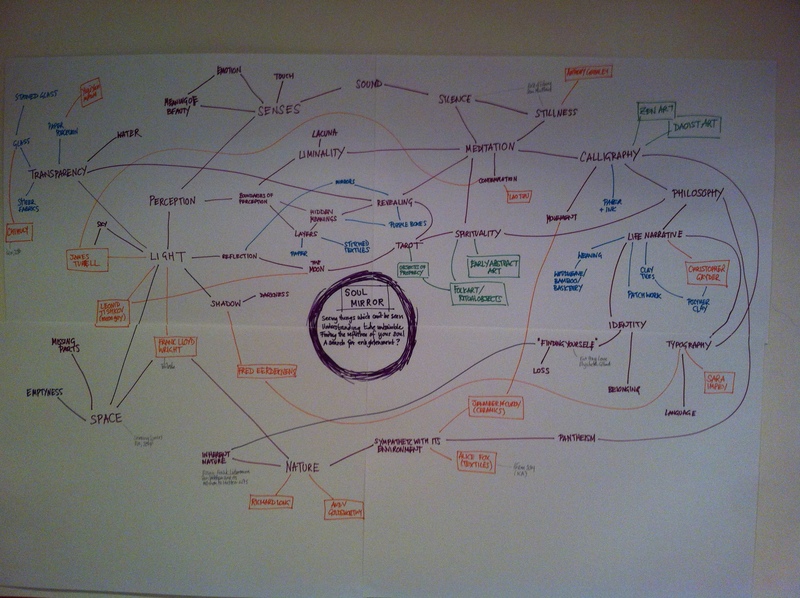 This entry was posted in 03.1 Getting making, 03.3 MA Project proposal and tagged design, mind map on 11 September,2014 by antalbot.